It will be a six lane expansion, though a portion of the project includes collector lanes for a total of 2+3+3+2 lanes plus frontage roads. 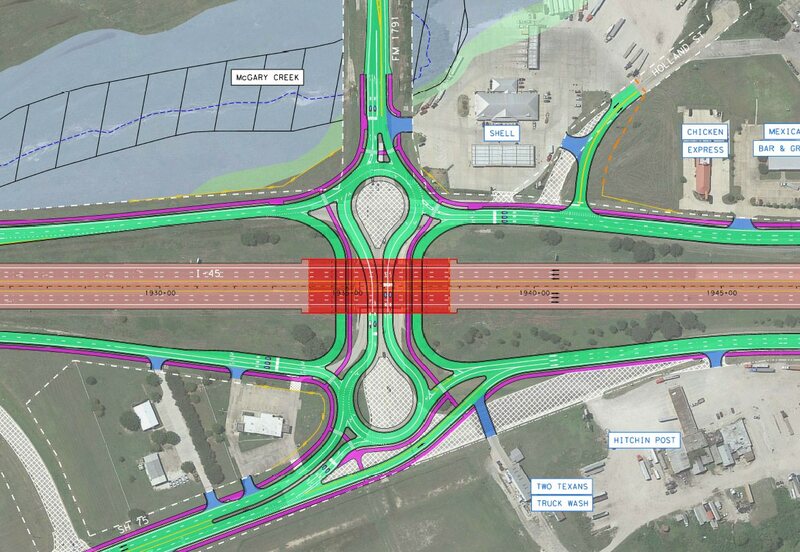 Are the Texas turnarounds really necessary, since the u-turn movement is effectively built into the roundabout? And not that it really matters, but those are dogbone interchanges, not dumbbells. Dumbbells have two separate roundabouts on either side; dogbones combine them into what is essentially one big roundabout squished in the middle (which looks like a dog bone). I'm disappointed to see that the wide median (mostly grass with some trees) north of Huntsville will get paved over and wiped out. It seems to me they could have easily widened the existing roadway and preserved the median space for scenic qualities. I think Schematic 2a is the first time I've seen comma separated exit numbers on a BGS. Must be cheaper, and faster to fill in the median than expand from the shoulders out. Paving in the median will allow installation of a stronger (and possibly taller) concrete Jersey barrier. Grassy medians typically have the cheaper cable barriers; I don't think those do as good a job as advertised of stopping cross over accidents. 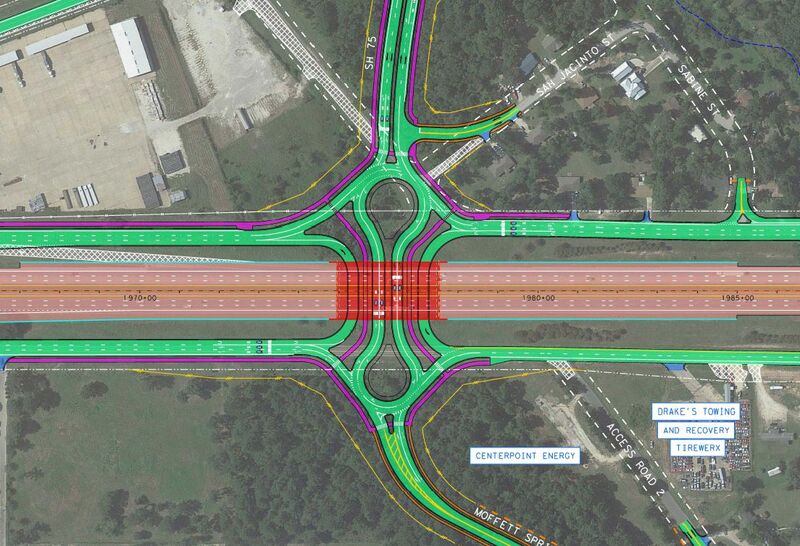 Using the median for expansion will leave the remaining outer room outside the main lanes for future expansion.